So cool! The next best thing in Blended & full e-Learning Math courses! Thank you to Luke Durrer, SCDSB eLearning Coordinator, for coming across and sharing this with us. Insert pre-made math symbols and formulate graphs directly into a Google Doc! Text to Speech also makes this tool, and math, a lot easier! 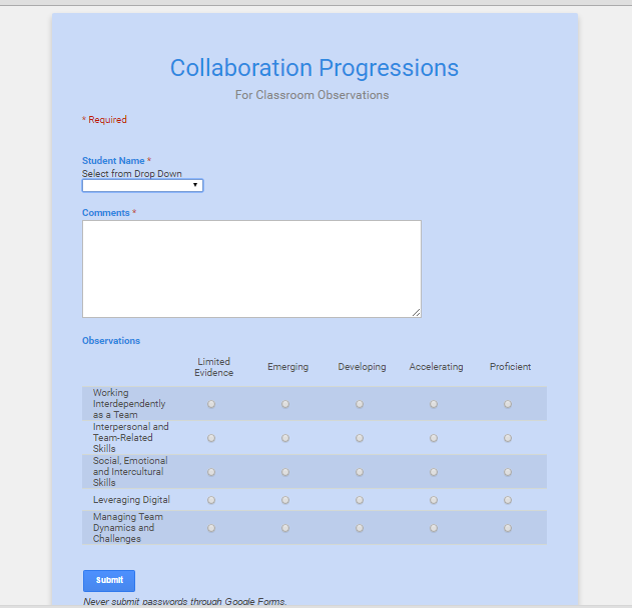 It looks like this add-on can also be use with Google Sheets & Google Forms as well! Thank you to Kathleen Moraghan, Business Studies Chair with Eastview. She uses her iPhone while walking around the classroom to assess students "on the fly". The drop down button below is set up so that she can select individual students in her class. This Google Doc feature is called the Doc Appender. Check out the tutorial below! What a fantastic tool to facilitate online "face-to-face" discussions! Introduced by our teacher from Mexico in our Global Experience Case Study (International Business), we had students create a FlipGrid as part of their assessment, in sharing their thoughts & opinions about Walmart's recent challenges. 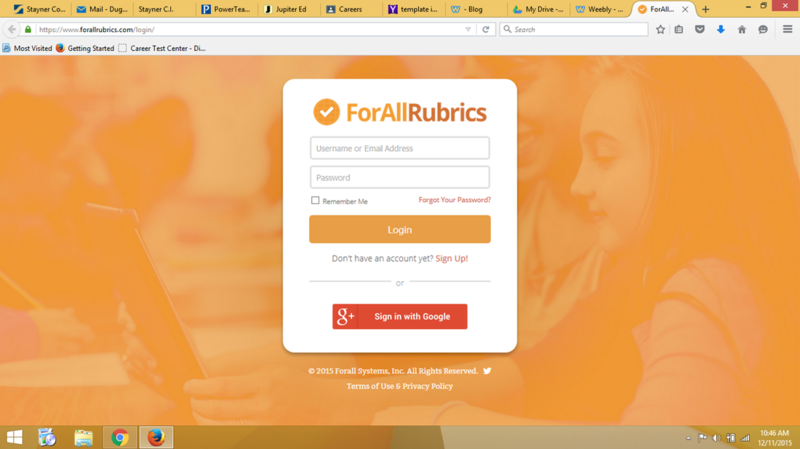 For students or professional learning communities, this is so easy to use... and it's FREE! What an engaging way for students to share their ideas and demonstrate their learning. 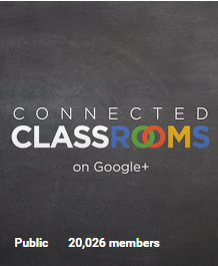 Whether you're new to Google Hangouts or just looking for more guidance, connecting with students & teachers in board or out of country, you'll find this resource very helpful. Want to hook up with a teacher from another country to create a webinar lesson, or get some other kind of collaboration going? It runs like a Facebook page. I recently came across a private school in Mexico looking to create a "Business on a Global Scale" lesson together. So excited for this opportunity!! Thanks to John Limoges, Science Lead with Stayner Collegiate, for sharing this resource. 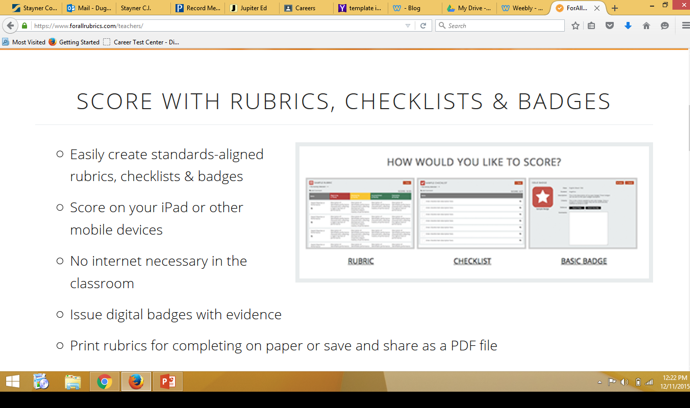 ForAllRubrics also comes as an app, so teachers can mark from their iPads. A unique and fun way for students to demonstrate their learning! Jaclyn Calder & Amanda Thorpe created this live radio station last year for SCDSB staff & students. 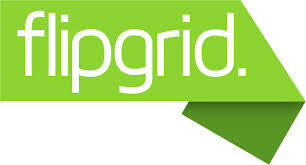 An awesome way for students to demonstrate & showcase their new skills in any subject. Click on the image to check it out! Here's an example of how two students from my International Business last year demonstrated their understanding of challenges that can arise with doing business globally. Drill in to hear how they embedded real live radio tunes to make it sound like a real radio interview. So cool. They did a fantastic job!